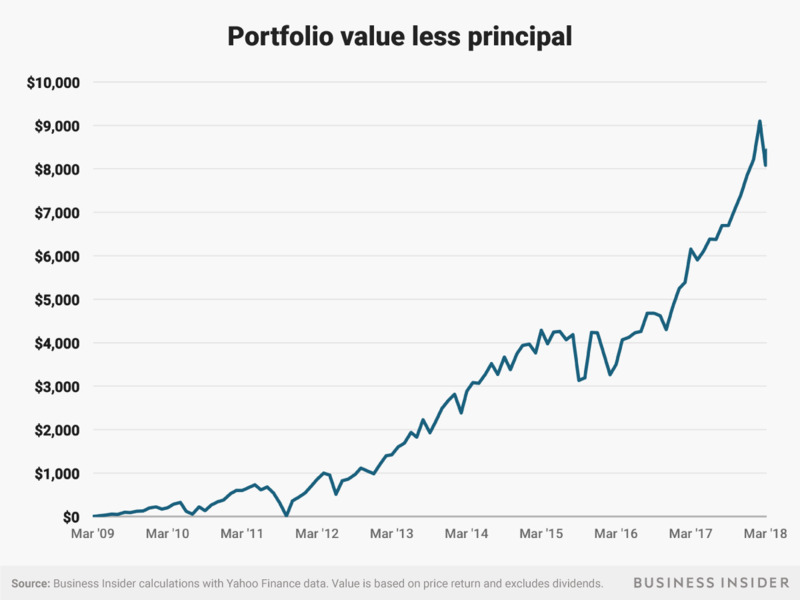 The S&P 500 hit its financial-crisis low nine years ago. Buying into the stock market at that time would have been a very lucrative investment. 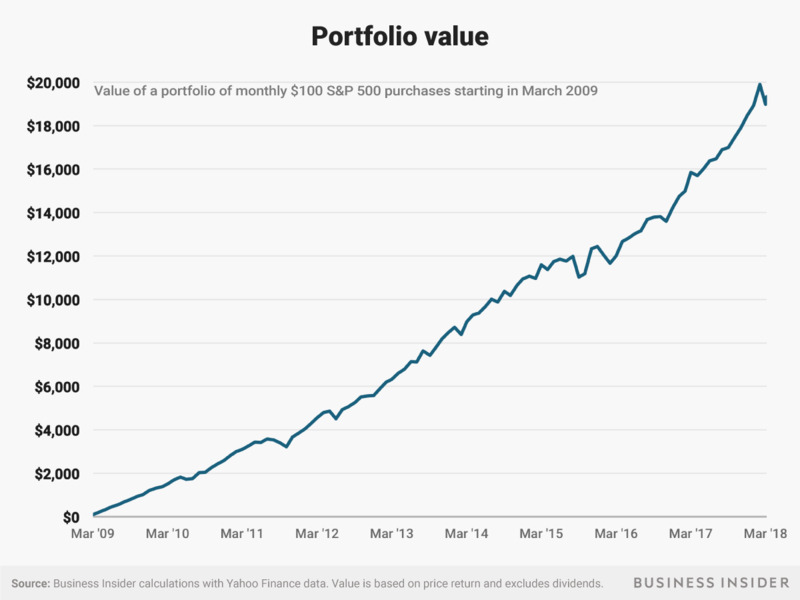 It has been nine years since the S&P 500 hit its lowest point of the 2008 financial crisis. 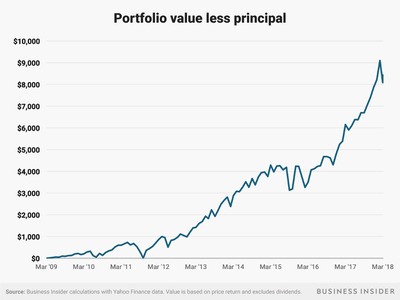 And if you started buying stocks then, as President Barack Obama suggested at the time, you’d have made a very handsome return. 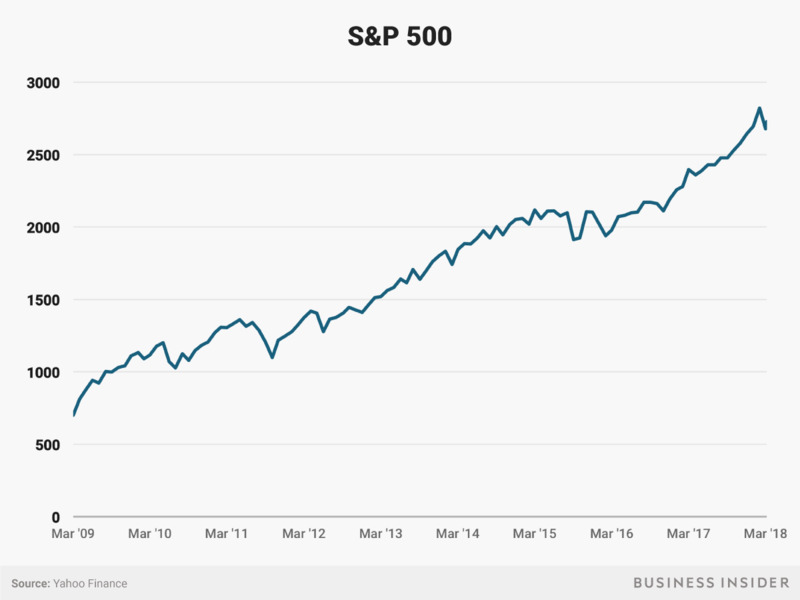 The S&P 500 hit an intraday low of 666.79 on March 6, 2009, and a closing low of 676.53 on March 9. 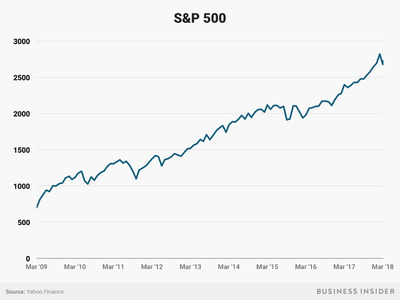 Since then, the benchmark index is up 298% as of Wednesday’s close of 2,691.25. 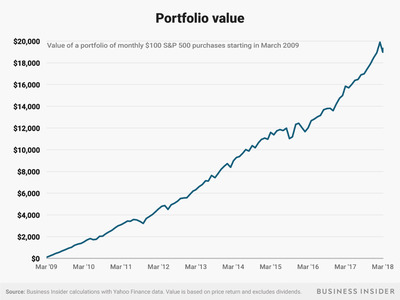 One way to look at the stock market’s incredible nine-year comeback is to consider an investing thought experiment: How much would you have if you bought $US100 of an S&P 500-tracking index fund every month starting in March 2009?